In his latest book, “Dropping the Struggle – 7 Ways to Love the Life You Have,” author Roger Housden explores the root causes of suffering and how to diminish them. In a phone interview from his home in northern California, Housden recounted Thich Nhat Hahn’s response to a massive stroke that left him debilitated and unable to speak. Lying in a hospital bed with a team of doctors and therapists consulting around his bedside, the Buddhist monk and peace activist placed a finger on his lips, silently encouraging the doctors to stop talking. He then pointed outside to the clear, blue sky. “One therapist shared that it was the first time in all the years she had been working that she had stopped and looked at the sky,” Housden said. 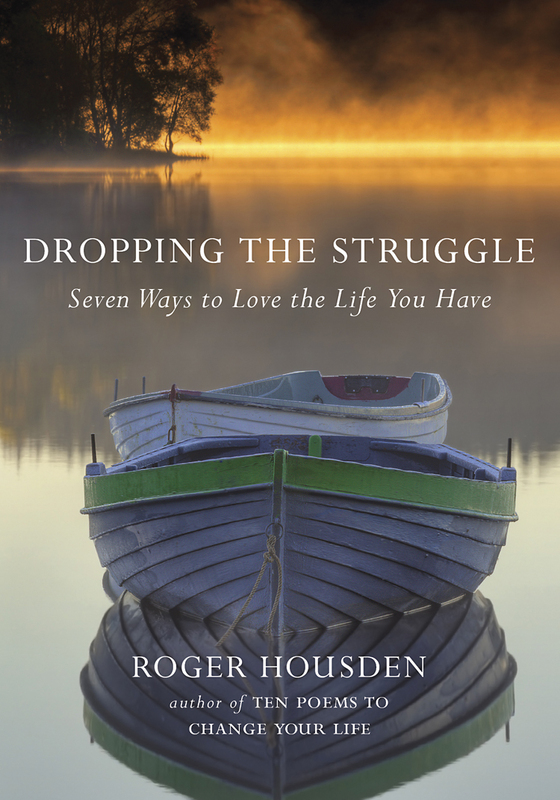 Housden will be discussing his latest work at 6 p.m. Friday, Sept. 9, at Laguna Beach Books. On the following day, Saturday, Sept. 10, from 10 a.m.- 4 p.m., he will lead a writing workshop at a home in Laguna Beach. The $125 workshop is open to writers and non-writers alike. Register at www.rogerhousden.com. For more info: call Mary McManus at 949 933-1783. Craig Carlson, author of “Pancakes in Paris: Living the American Dream in France” will visit Laguna Beach Books, 1200 S. Coast Highway, as part of a national diner and bookstore tour at 4 p.m. on Sunday, Sept. 18. “Pancakes in Paris” tells the story of how Carlson, a screenwriter and film maker, moved to Paris and realized his dream of opening an American-style diner in the heart of the city. Laguna’s No Square Theatre will host a cabaret and book-signing event at 7 p.m. Friday, Sept. 9, highlighting “From the Errors of Others: How to Avoid Embarrassing Mistakes in Writing and Speaking” by local author Rebecca Lyles. The evening at 384 Legion St. includes dinner, followed by original parody songs performed by Saif Eddin, Rufino Cabang, Kathi Gillmore, and Chloe Lovato; readings from the book and Q&A with its author; and book signings afterward. The songs satirize subjects from the book: editing, punctuation, deceptive language, and how others judge us by the way we speak. Lyles sings in the LagunaTunes Community Chorus and contributes to “Lagunatics,” No Square Theater’s annual roast. Tickets, $20, include dinner and can be purchased online, http://bit.ly/2aCfKIm.